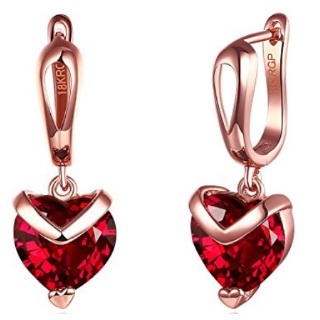 Amazon Valentine Offers - Purchase ed Heart A5 Grade Crystal 18K Rose Gold Plated Earrings for her at just Rs.449. This beautiful and contemporary Fashion Jewellery is made available at very reasonable prices. Shop now!